Much of statistics relies upon four key elements: a law of large numbers, a calculus to operationalize stochastic convergence, a central limit theorem, and a framework for constructing local approximations. These elements are well-understood for objects in a vector space (e.g., points or functions); however, much statistical theory does not directly translate to sets because they do not form a vector space. 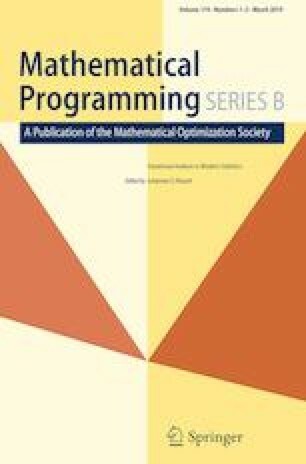 Building on probability theory for random sets, this paper uses variational analysis to develop operational tools for statistics with set-valued functions. These tools are first applied to nonparametric estimation (kernel regression of set-valued functions). The second application is to the problem of inverse approximate optimization, in which approximate solutions (corrupted by noise) to an optimization problem are observed and then used to estimate the amount of suboptimality of the solutions and the parameters of the optimization problem that generated the solutions. We show that previous approaches to this problem are statistically inconsistent when the data is corrupted by noise, whereas our approach is consistent under mild conditions. This work was supported in part by NSF Award CMMI-1450963.